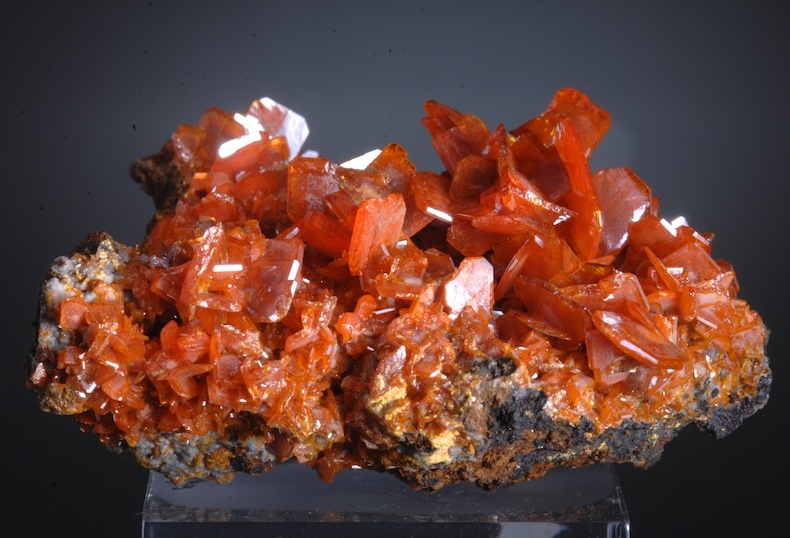 Brilliant red Wulfenites with a delicate, paper thin habit that are free standing on a gossan matrix. Choice and esthetic example from the earlier finds at Xinjiang. The centers of many Wulfenites have a zoned coating on one side of the crystal, but others are unzoned. The delicate thin edges are mostly intact and undamaged but there is some damage on a few spots which is almost inevitable with such thin crystals. The color is as brilliant a red as is possible. 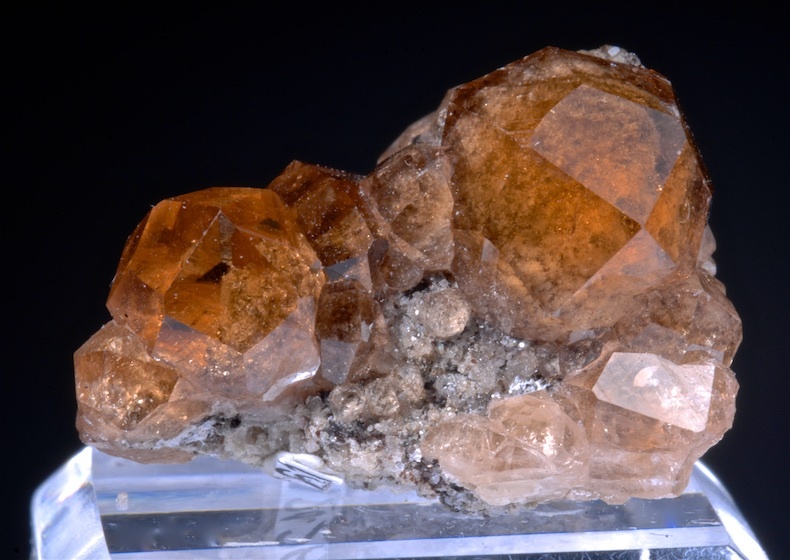 An attractive, complex specimen of lustrous cinnamon colored Grossular on prismatic Diopside crystals. A classic combination from the famed Jeffrey Mine. The Garnets are well formed and damage free, the Diopsides are well terminated with flat tops and also undamaged but are contacted on the outer edges. A choice miniature that has a fine color contrast. Better in person. 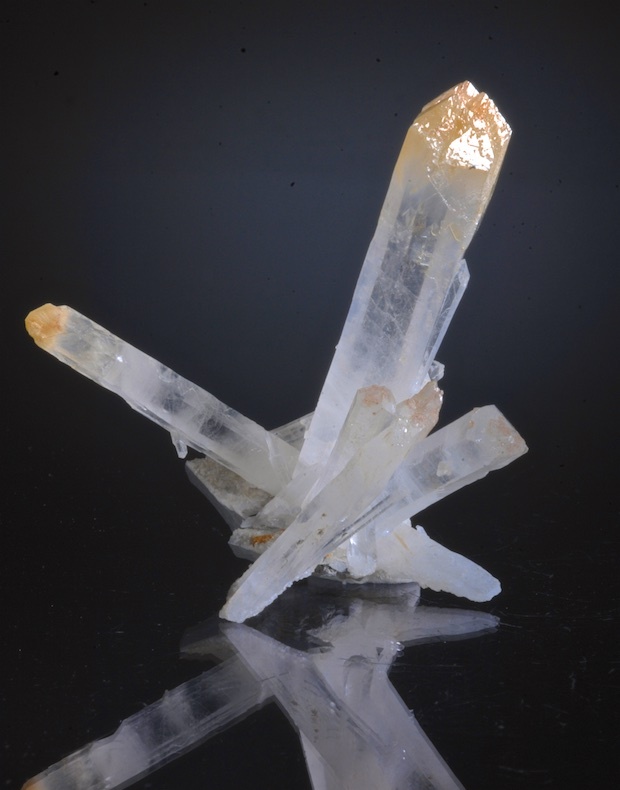 An incredible new find of Quartz with bright yellow tips that are now known to be inclusions of Humboldtine. We obtain this specimen and a few others in Colombia just over two years ago but the analysis was not validated until recently. 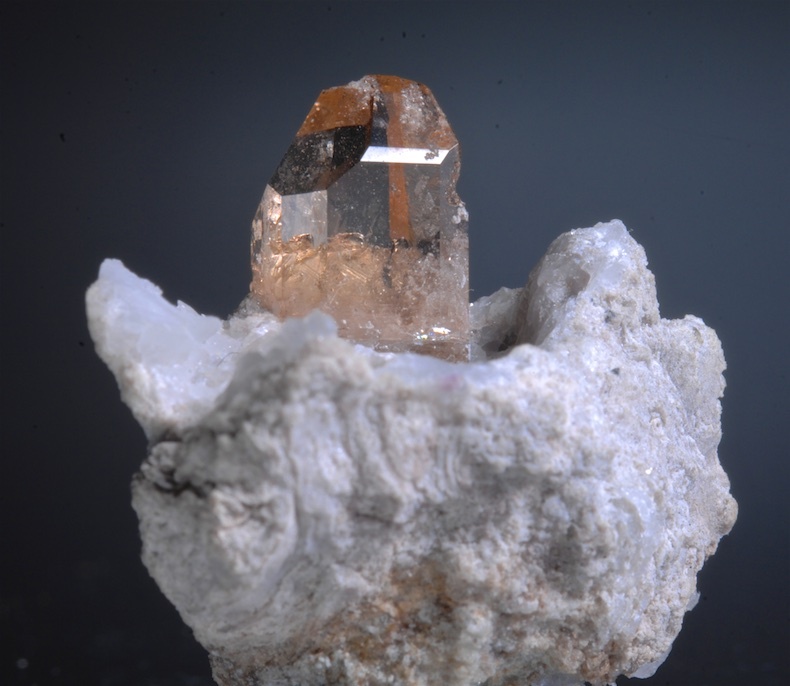 This specimen is a radiating group of Quartz crystals on a small shard of matrix, and is in fine condition. The find has made big news in the mineral world and now seems to be fully exhausted, there were very few matrix specimens and most of these were very quickly sold. This specimen has misplaced and not put in our show display, it is one of the few left and we think maybe the only one on the web. Choice and obviously a very rare Quartz. Rare clear, zoned Garnets with green centers from Jeffrey Mine which are highly desired and unique to this legendary locality. In addition to being a choice and esthetic specimen these Grossular are vividly fluorescent, bright red in midrange and orange in longwave. 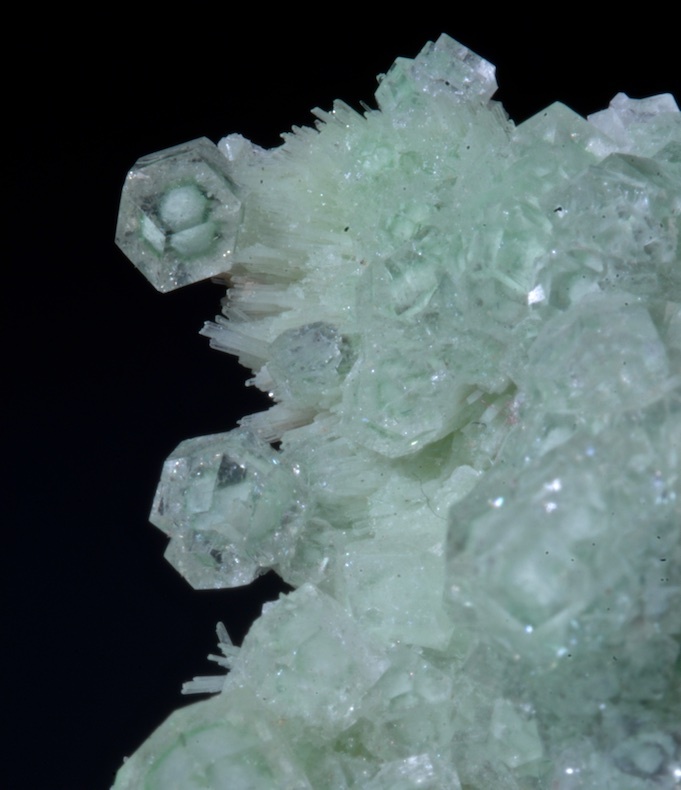 In super condition even under magnification, this is a very fine example with a good mint green color overall even on the Pectolite and Diopside matrix. 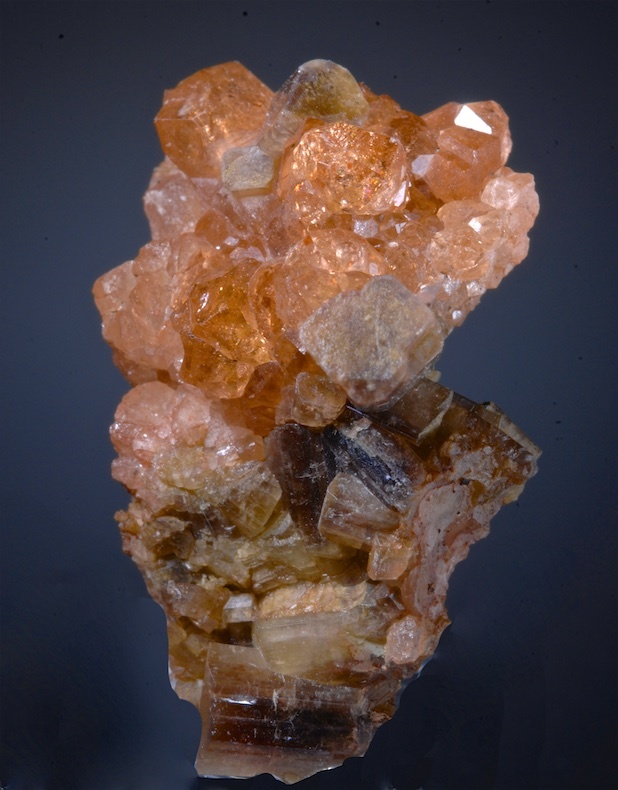 There was only a single find 30 years ago this type Grossular and is unique to the Jeffrey mine. A very choice miniature. 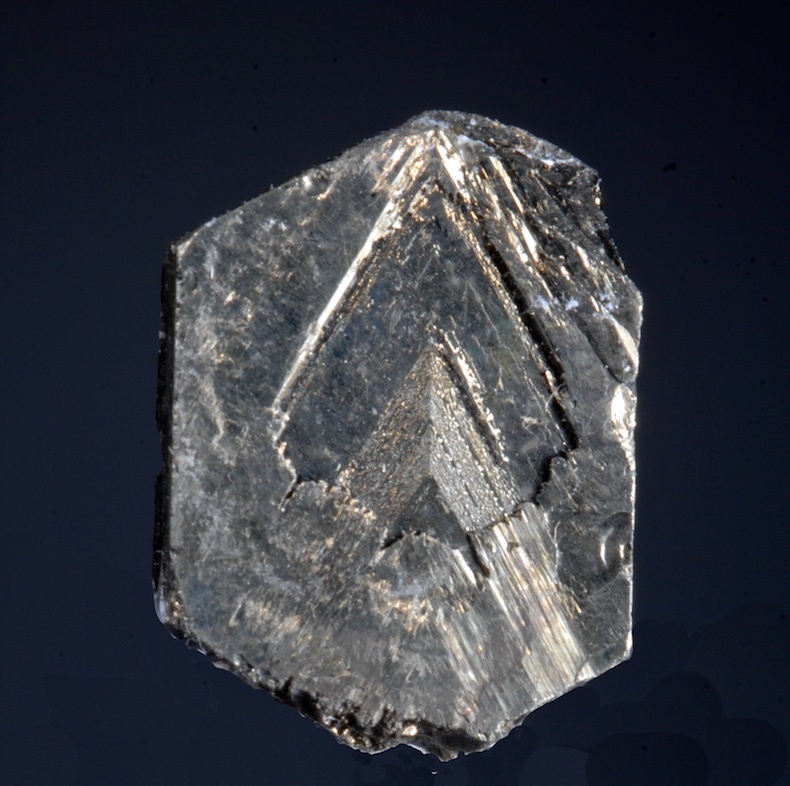 Small but sharp, complete and in fine condition, an excellent twinned Cubanite from the famed Chibougamau Mine. This is a floater, complete on edges and displays fine on either side. The Golden luster is two toned on one side that adds an interesting contrast. The worlds best Cubanites came from Chibougamau more than 20 years ago, none since. In good condition overall though micro chips on a few edges can be found with magnification, this is a very brittle mineral. Examples this intact were always rare, and larger examples are always expensive. This small piece is a super compromise and much less costly than larger specimens. A killer thumbnail of gem clear sharp Garnets that are well isolated and super lustrous. The crystals are unusually smooth without most of the usual striations so the faces are like windows looking into the crystals. In excellent condition, micro contacts can be found with 20X magnification but overall a perfect piece. A modern classic, this quality is far, far beyond the average yet still very affordable. 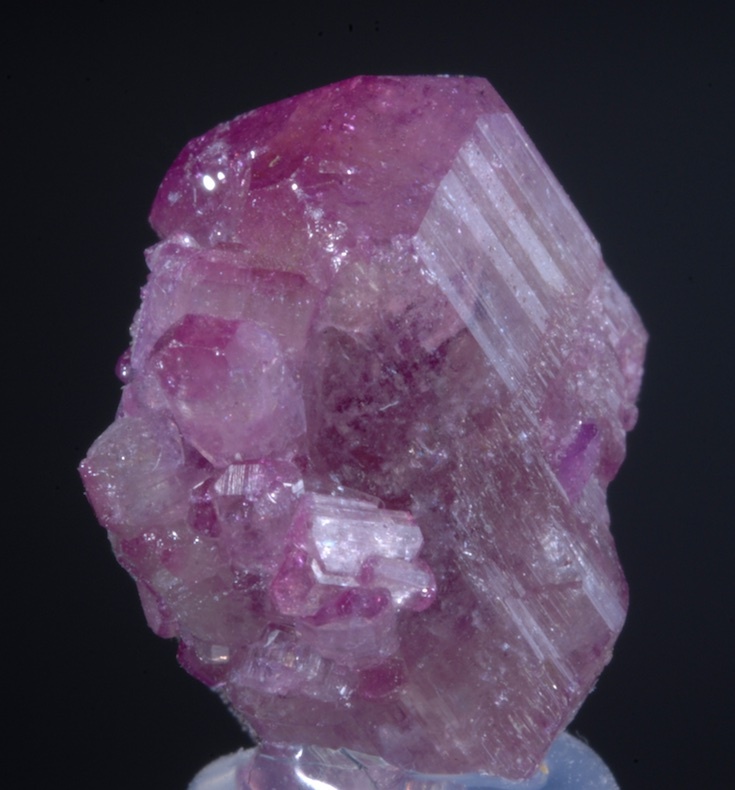 A small, complete, doubly terminated crystal with the most desirable intense magenta color. Damage free and a floater with no visible point of attachment, The terminations have the darker purple the mid section is a more pale greenish gray. Jeffrey Vesuvianites are by far the worlds most collectable, desirable and colorful. Since the mine closed some years ago these very rare colors are now much sought after. This was collected more than 25 years ago and is an excellent value for one of these.